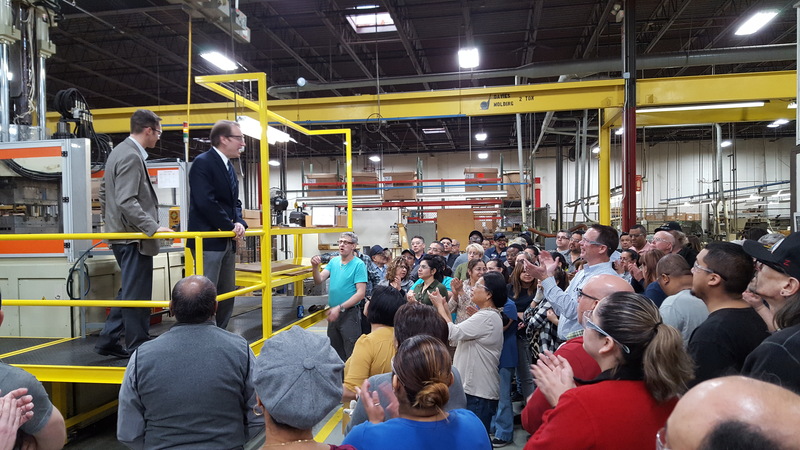 Yesterday, we had the honor of having US Representative Peter Roskam (IL-06) speak to all of our employees. He is truly interested in helping US businesses maintain their strength in the world economy. As a member of the House Ways and Means Committee, he specifically talked about revising the US Tax Code to be more relevant to changing economic times. He also talked of his recent trip to China and the troubles they are facing. 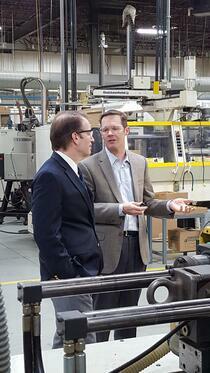 Congressman Roskam was very complimentary of our molding and secondary operations. 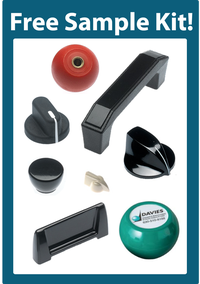 He viewed all the recent investments into the compression, injection, finishing and tooling departments within our operation. He asked a lot of questions about the processes as well as what he could do to help. It is refreshing to see our elected politicians actually reaching out to their constituents and local businesses regarding the current industry climate in Illinois and what they think Washington could do to protect small businesses.